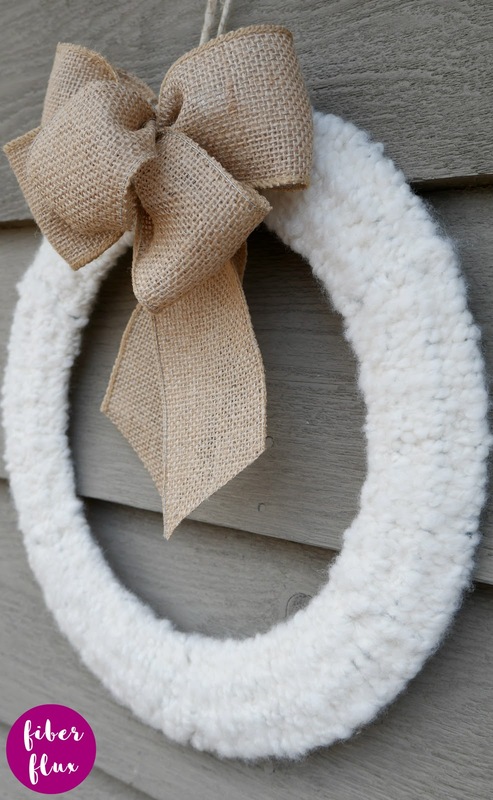 The Rustic Farmhouse Woven Yarn Wreath is a pretty wreath for your home with lots of texture. 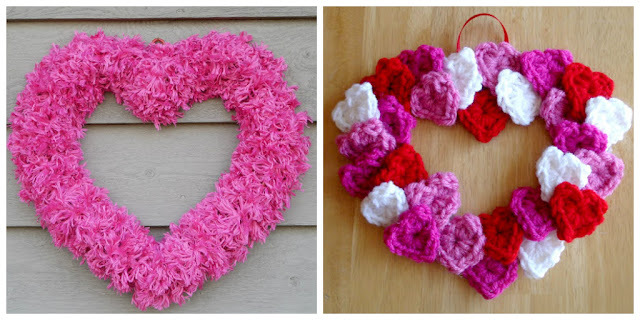 This fun yarn craft can be made in just a short amount of time with yarn on hand too! A metal form makes it super easy to weave the yarn and you can add a bow like I did or add something else. Need a little extra help? There's a full video tutorial too! Scrap yarn for weaving. 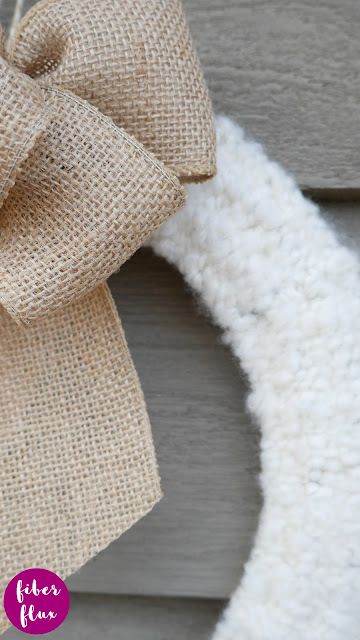 Fluffy, highly textured yarn works best for this project. Feel free to mix it up for a colorblock effect too! 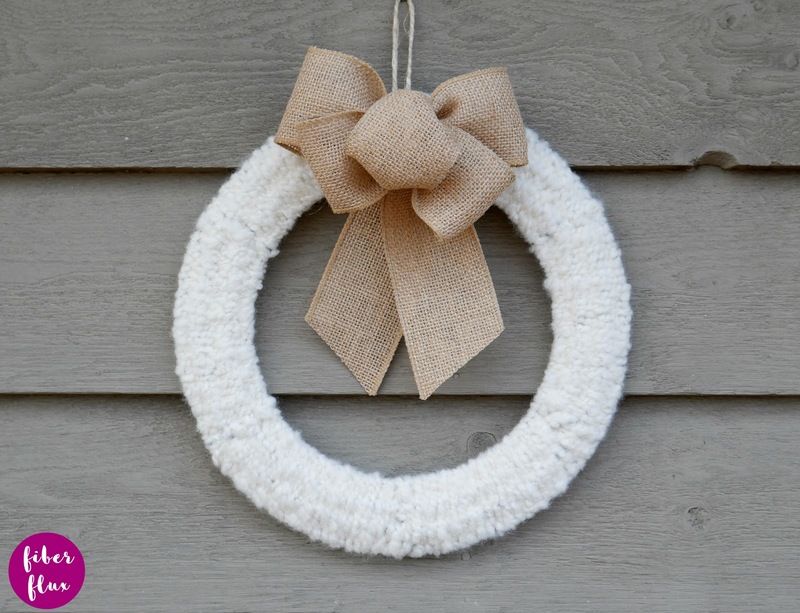 Note: Check out the video to watch how I make the wreath step by step! 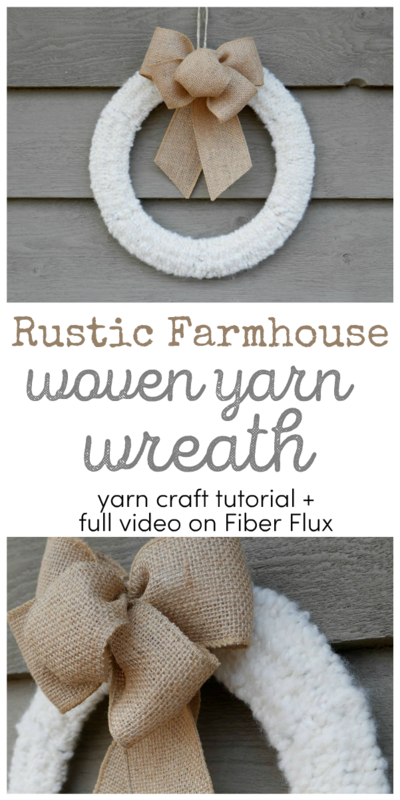 Tie a small piece of twine or matching yarn to make a hanging loop. To weave tie yarn around one of the inner bars of the form to get started. When you run out of yarn, simply tie a new yarn piece and keep weaving, making sure any knots are hidden in the back of the form. After you've woven around the entire form, trim any tails in the back. Hang for a beautiful rustic yarny addition to your home decor! Very nice. I'll have to try this one. Thank you.